Carton House is located 15 miles to the west of Dublin and has two courses, the O’Meara course opened for play in 2002 and the Montgomerie course opened a year later. Both have their own distinct style, the O’Meara is a park land course, while the Montgomerie course is links-like layout. Monty himself with the guiding hand of Stan Eby of European Golf Design, designed the Montgomerie course. It’s an interesting sculptured layout which stretches out to a massive 7,300 yards from the championship tees. Without huge defining sand dunes, links courses can be flat and featureless. Montgomerie designed in manufactured undulations and introduced swaying fescue grass, with clearly defined cuts between the fairway, semi rough and rough, there are also many deep pot bunkers to catch he errant drive or to protect the greens. The Montgomerie course held its first Irish Open in 2005, which was won by Wales’s Stephen Dodd beating David Howell in a playoff. I did pick Padraig Harrington 16/1 in last week’s Travelers Championship, but until his final round 80 which contained six bogies in his first nine holes, he was actually in the mix, opening up with two 66s. But we have all watched Padraig fight his demons on the greens before and I think in front of a home crowd, on a course where he’s had a Top 5 and a Top 15 finish in the two years that the Irish Open has been played at Carton House, he will want to put on a show, so look for him to be challenging here on Sunday. 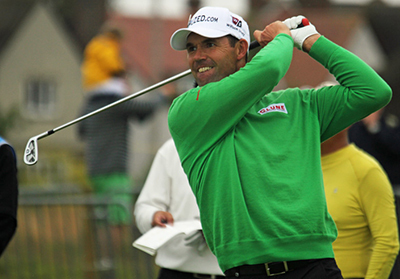 I think I will stick with Thomas Bjorn 16/1 this week especially as he won the last Irish Open to be held at Carton House GC in 2006, he did open with a 78 that year, but promptly followed that up with a 66 and won by a shot from Paul Casey. Thomas should come into this week in confident mood after his runners-up finish in Munich last week and two other Top 10 finishes from his last four European Tour events. It’s hard to ignore Shane Lowry 25/1 who comes into this week in confident mood after firing a final round 65 in Munich to make that his third Top 25 finish in his last three European Tour events, his fifth of the year and three of those have been Top 10 finishes. And who can forget Shane winning this event as an amateur back in 2009 at County Louth GC, I am sure he has fond memories of that year every time he tees it up in this event. Another player who seemed to enjoy the Carton House GC track back in 2006 was Ross Fisher 28/1 who finished in the Top 5 that year. 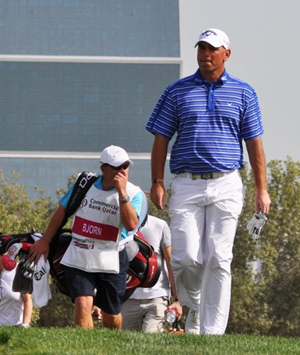 Ross did finish in the Top 20 at last weeks BMW International Open, he was four under after thirteen holes, but back-to-back bogies put paid to any challenge he was about to mount. I think what it did show was that Fisher is not far away from being back in contention on a Sunday afternoon. 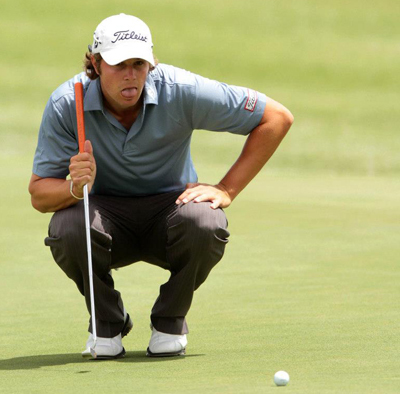 Another pick of mine early in his professional career was Peter Uihlein 50/1, the lad from Massachusetts had a fantastic amateur record and was number one amateur in the world in 2010. It has taken a while for Peter to settle in the pro ranks but his win in Madeira followed five Top 25 finishes in six European Tour events, he’s now followed that win up with a further two Top 25 finishes and I don’t think its going to be long before the American wins one of the bigger European Tour events. A player I didn’t expect to see this far down the betting odds was Darren Fichardt 125/1, not only has he won the African Open on the European Tour this year and had another runners up finish in the Tshwane Open, but he comes into this weeks event on the back of a Top 10 finish in last weeks BMW International Open and leading the order of merit on the Sunshine Tour. I think you should be snapping this one up.